November is winding down! But not our Efforts! Type Won, LBWear, & ESPN! November is National Diabetes Awareness Month so we stay active in our efforts to educate about Type 1 diabetes. This might mean sharing diagnosis stories, or sharing how someone has inspired us in one way or another, or fundraising for a cure. We are very blessed to have people in our lives making a difference in the diabetes community, here are a couple ways that you can make a difference. 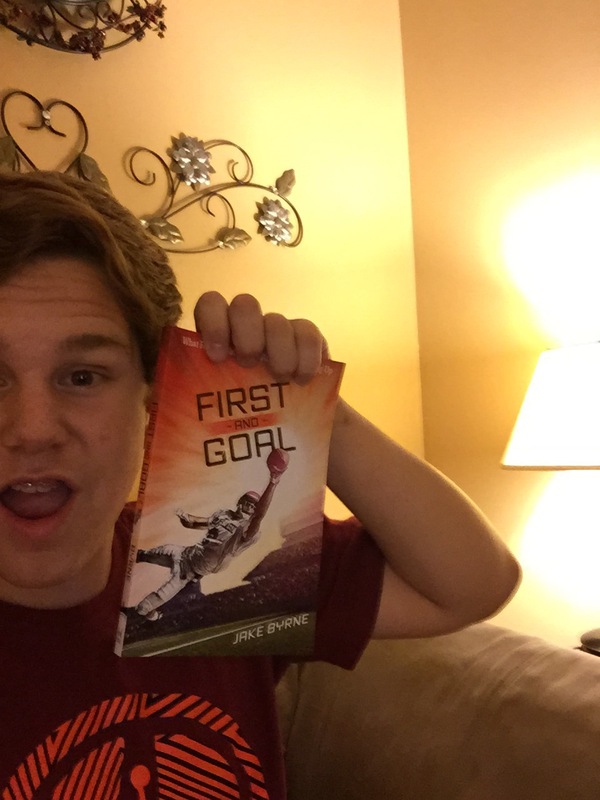 The first one is Jake Byrne’s book; First And Goal, for every book that is sold this month, not only do you receive an autographed book, Jake is donating $1.00 to a local JDRF! For more information go to Type Won. Next my friend and small business owner Annette is offering $5.00 to JDRF for every blue HUG that is sold in November! Joey loves mine so much that Annette made him his own! (Thank Goodness!) Please go to LBWear for details. So far November has been fantastic! Next Post Waking up HIGH is a family affair!